Nice weekend loop to the head of the Rolleston River with a traverse of Mt Armstrong. We headed up to Rolleston River track to where it crosses the river, then headed up loose scree towards the ridge separating Lake Florence from the Rolleston. Some fun rock scrambling added some interest at the top before reaching the lake early afternoon. The next morning we traversed Armstrong down to the basin below Waimak Col and headed out the Rolleston.Team: Yvonne Pfluger, Chris Owen, Rob Monro, Nina Dickerhof. 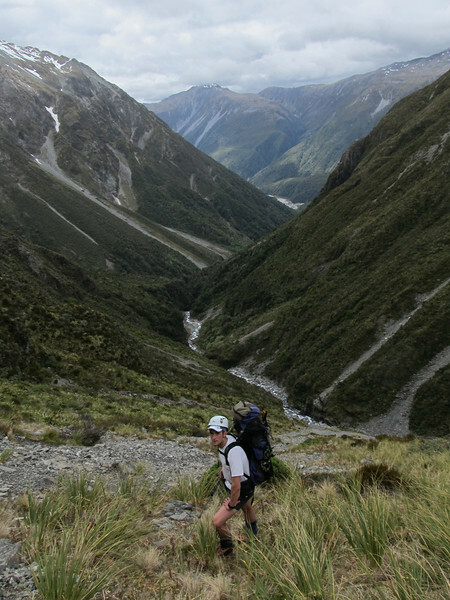 Gaining height above the Rolleston River.